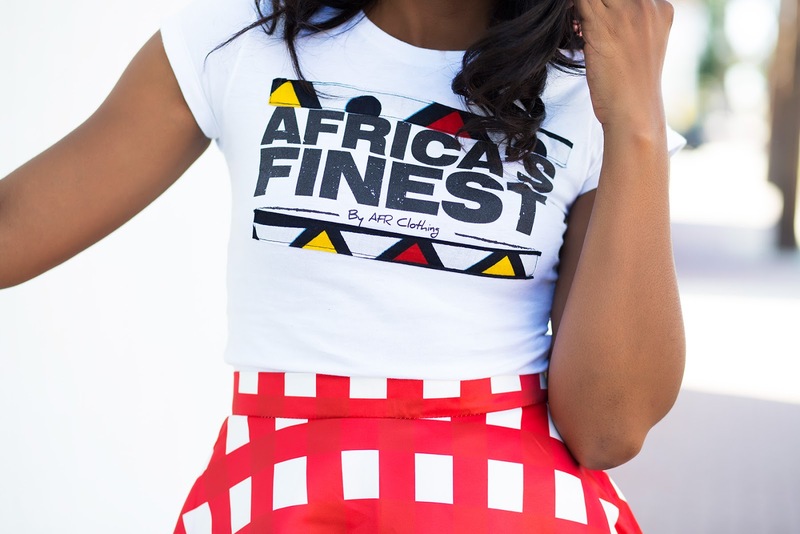 As always, while browsing through Chicwish , I came across this check print skirt. 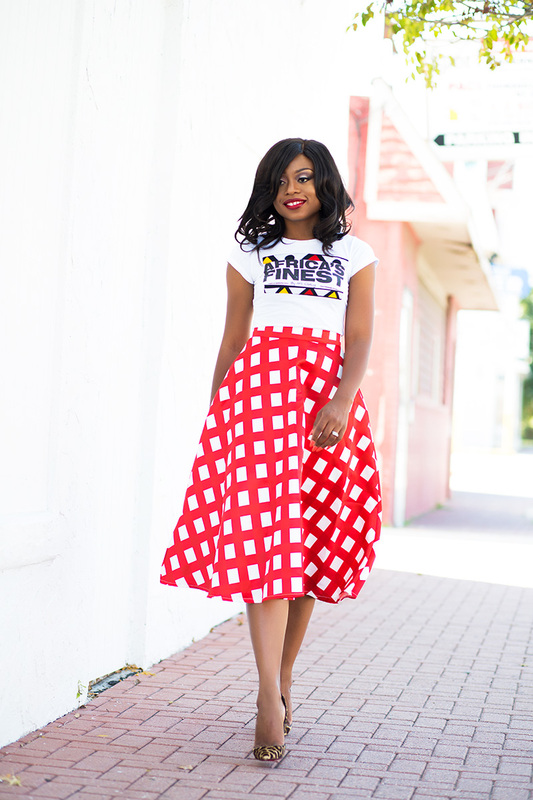 Chicwish is where I love to get floral skirts and I was excited to find the patterned skirt on this post. 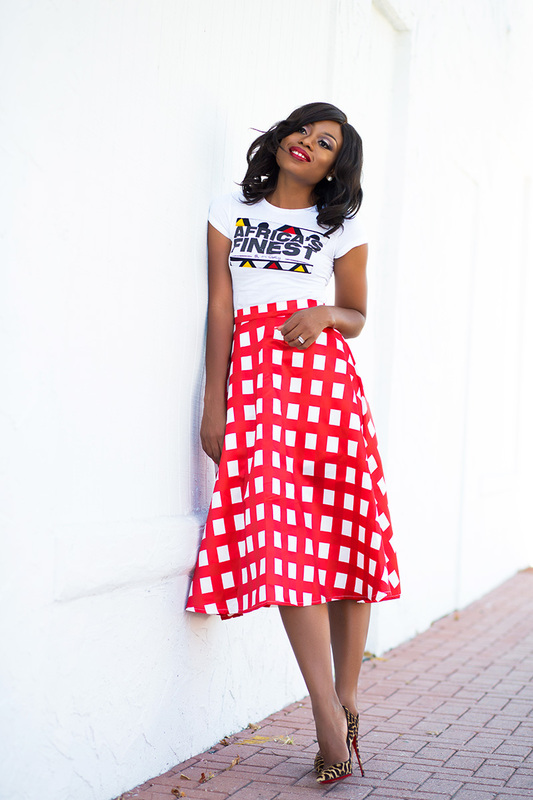 I paired the skirt with an Ankara graphic tee and I completed the look with leopard print pumps for a fun twist; I really love to mix print and patterns! 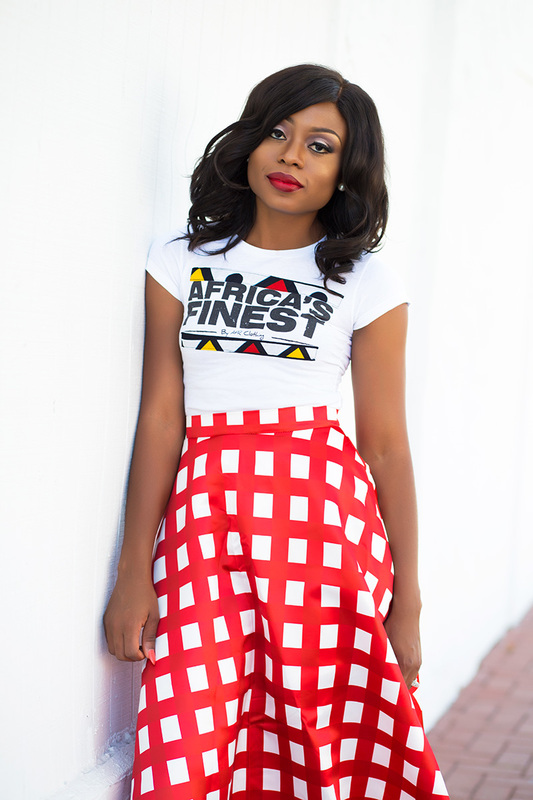 This skirt is so gorgeous. I love the cut. And it is paired perfectly. Beautiful Stella. Have a fantastic weekend. 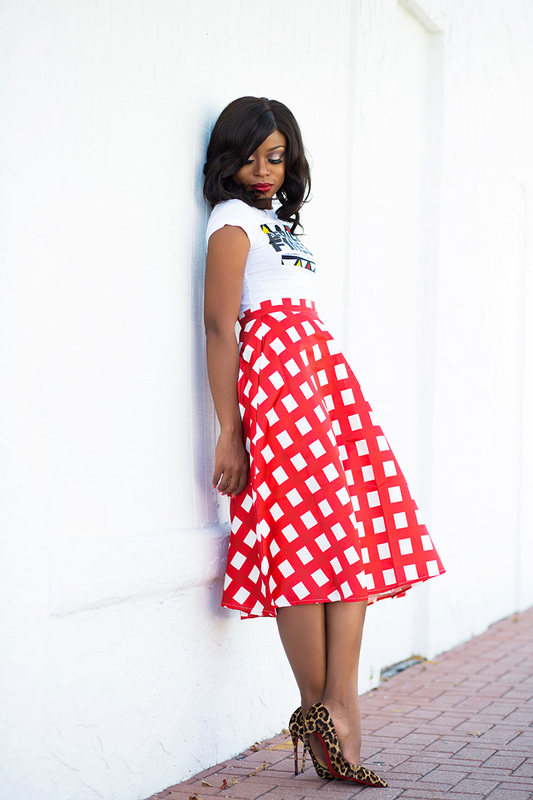 Love the way you paired the casual tee with this look...super cute!!! Great outfit, that skirt is gorgeous! 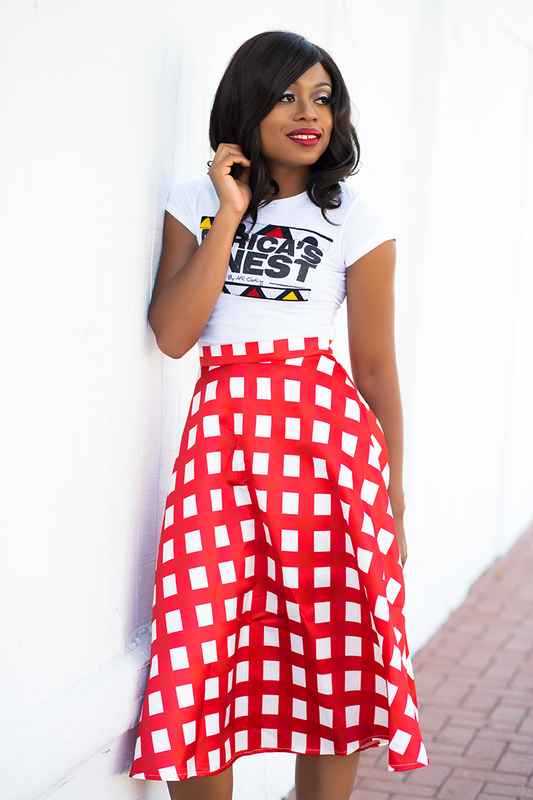 You just know how to put pieces together...who would have thought the Tee would look so good with this skirt!